After clashes in northern Iraq this week, hundreds of fake pictures have flooded Iraqi social media. Some are real, some not, but leaders on both sides say it’s leading to a dangerous escalation of tensions. Given the partisan nature of much of the media funding in Iraq, there’s always been a fair amount of fake or nearly-fake news in circulation. Many locals get their news from Facebook and are informed by a variety of sources along with friends and family. Some of those sources support their own arguments in an intensely political atmosphere by posting pictures or videos from a different situation, time or even country. It’s a fairly common practice in Iraq. However since the beginning of the military movements in northern Iraq in mid-October, and occasional military skirmishes there, the number of these kinds of inaccurate and biased clips and photos have multiplied. There are literally hundreds of false narratives online at the moment. 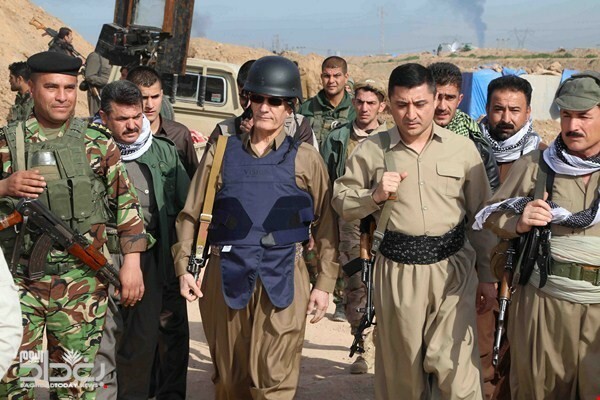 It is equally obvious that there is no control in the Kurdish military over what the men can and cannot post. It is clear that Kurdish soldiers have been involved in posting some of the pictures and videos – some true and some propaganda-related. 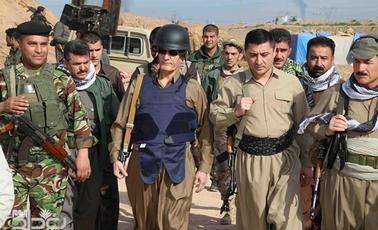 It is equally obvious that there is no control in the Kurdish military over what the men can and cannot post. Dozens of soldiers are actually taking pictures or filming live battle scenes then posting them on Facebook. In one particularly odd video, a Kurdish soldier started a live feed on Facebook while manning a Soviet-made DShK heavy machine gun. Facebook appears to have removed the content since then. The people who first post these pictures do have an agenda, says Hashim Hassan al-Tamimi, Dean of the College of Mass Communication at the University of Baghdad. Then those who spread them and re-post them often do so without really thinking it through; it is due to fundamental feelings of anger and fear, al-Tamimi says, and it is a kind of psychological warfare. Interestingly, during the course of this conflict in northern Iraq, one can detect a slow change of attitude in users of social media. Many locals are now talking about the fake pictures and telling others not to trust them. Still, one other point has also become clear: Genuine pictures are never as popular as the more dramatic false ones. NIQASH has checked the veracity of a very small number of some of the most widely circulated items. After fighting broke out between Iraqi military and Shiite Muslim militias and the Kurdish military near Alton Kupri, pictures of burned out military vehicles and dead soldiers have been being provided as evidence of the success of one or other side. There has been no confirmed news about how many soldiers died on either side. The pictures of these burnt vehicles have been online since 2015 and they were captioned: Saudi army vehicles burned in Yemen. The pictures of the dead soldiers were also published previously and described as being of fighters from the extremist Islamic State group in Fallujah. In another online appearance, the same picture was captioned with: Members of the Shiite Muslim militias in Mosul. Without investigating further where the pictures really come from, it is clear they have nothing to do with recent fighting in northern Iraq. One widely spread rumour involved the Iraqi fighter, Abu Azrael, who is a member of one of the Shiite Muslim militias. He has amassed a huge following on Iraqi social media as a symbol of the Shiite Muslim fight against the extremist Islamic State group. The rumour said that Abu Azrael had been killed in fighting in northern Iraq and one official channel even reported on his death. The lie was later refuted by Abu Azrael himself, who posted a video on YouTube to show he was still alive and well. 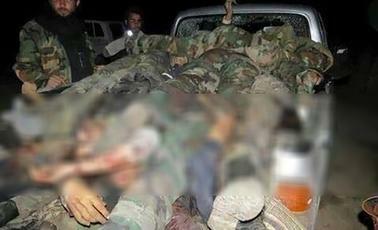 Another widely spread picture showed the bodies of soldiers in the back of a pick-up truck. Some of the Facebook pages that republished this picture claimed the men were victims of fighting in Alton Kupri, others said the pictures was taken after clashes in Kirkuk. In fact this picture dates back four years and the dead soldiers belong to the Syrian army and not to the Kurdish military. Two of the most popular videos being posted on Kurdish Facebook pages are also historic. It shows a convoy of Iraqi army and militia vehicles apparently heading north. Although the convoy is real, the video was filmed over a year ago and shows the soldiers and weapons heading towards Mosul, not Iraqi Kurdistan. Another video, which was eventually published on more than 20 Arabic-language Facebook pages as well as some Arabic-language media, claims that the Kurdish military have blown up the bridge near Alton Kupri that connects the Kurdish capital of Erbil with the city of Kirkuk. They allegedly did this to prevent the advance of Shiite Muslim militias into the Iraqi Kurdish region. However on closer examination it turns out this bridge is actually in Topeka, Kansas, in the US, of all places. The video shows a controlled demolition of the bridge, to make way for new construction. But perhaps the funniest picture was that of Mark Zuckerberg, the co-founder of social media giant Facebook. Earlier in the week, senior Iraqi Kurdish politician, Massoud Barzani, had called upon the Kurdish diaspora to demonstrate their support of the Iraqi Kurdish region by holding up signs on social media and protesting against Iraqi incursions. Zuckerberg appeared to agree, and a picture was posted of him holding up a sign echoing Barzani’s wishes. It was first published by a Kurdish Facebook page and then circulated widely. In fact, as one might have guessed, the picture was first published in 2016 and was part of the promotion for the launch of Facebook Live.